Daniel T. Carlson, Esq. is an Attorney in the Estate Planning and Probate Practice Group at Lane, Lane & Kelly, LLP. Daniel works closely with individuals and families to understand their priorities, philanthropic interests, and goals to better plan for their economic future and the security of their families. From a multi-disciplinary approach, he advises clients on all aspects of estate planning including asset protection, real estate transfer strategies, long-term care planning, tax planning, charitable gift planning, business succession planning, and the general transfer and preservation of wealth for future generations. Through his practice, Daniel collaborates often with accountants and investment advisors to better understand the full financial goals of a client. Daniel frequently represents trustees and personal representatives through the estate and trust administration process and advises these fiduciaries on how to address complex issues concerning investment, tax, and accounting responsibilities related to the distribution of assets. He counsels clients through the sale of residential and commercial real estate, the proper marshaling of trust and estate assets, the preparation of state and federal estate tax returns, and the formation or dissolution of various business entities. When disagreements between fiduciaries and beneficiaries arise, Daniel has been instrumental in litigating issues and moving cases toward a favorable resolution. He has counseled individuals in disputes related to will contests, breach of fiduciary duty issues, trust disputes, and challenges to investment strategy. Prior to joining Lane, Lane & Kelly, LLP, Daniel worked as a litigation associate for two years at a Boston firm. He managed the firm’s uncontested and contested probate and family law cases and built a significant practice drafting and litigating complex separation agreements. Daniel has appeared in courts across the Commonwealth of Massachusetts and has successfully represented both families and individuals. He is actively involved in the community and is a current member of the National Academy of Elder Law Attorneys, the Trusts & Estates Section of the Boston Bar Association, the Probate Section of the Massachusetts Bar Association, and the Norfolk County Bar Association. Daniel concentrated his studies in the areas of estate planning and corporate law before earning his Juris Doctor (J.D.) degree from Suffolk University Law School in 2013. Prior to attending law school, he attended the University of New Hampshire before graduating in 2010 with a Bachelor of Science (B.S.) degree in accounting. Practice Areas: Estate Planning and Administration, Probate Law, Business Law. Legal Associations: Member of the Norfolk Bar Association. Member of the Massachusetts Bar Association, Probate Law Section. 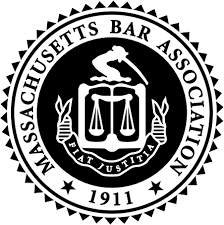 Member of the Boston Bar Association, Trusts and Estates and Family Law Sections.